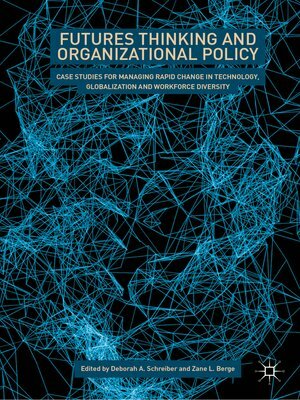 This book proposes that organizational policies are what ensure the institutionalization and sustainability of futures thinking in organizations. It presents several case studies from corporations and other institutions that describe effective use of foresight methods and internal policies to respond to rapid change. The case studies address changing trends in technology, globalization and/or workforce diversity, and the impact on the economic and political well-being of the organization. The editors also develop an organizational capability maturity model for futures thinking as well as providing questions for discussion that promote critical review of each case chapter. This book will inform scholars and organizational leaders how best to utilize foresight methodologies and organizational policies to sustain successful management strategies within futures thinking organizations.